Accounting is becoming more and more popular in terms of career choices for many students. A good accounting program can help you earn your certified public accountant (CPA) license. If you are considering attending school in Massachusetts, look over these schools and make sure that they offer exactly what you are looking for. Every state has their own requirements in order to qualify for your CPA licence. They all require a certain amount of education, so you will want to make sure that the program you choose can fulfill those requirements. 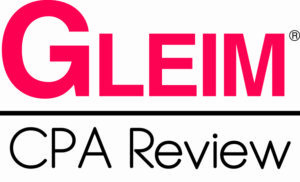 Many programs are tailored to guide students towards passing the very difficult CPA exam. The first thing you will want to do is visit the program’s website. Do they go into detail what their program is like? Do they state that they are designed to help you earn your CPA license? Are the faculty above average? If a particular program has you interested, you should contact someone on the faculty and they can help answer any questions. You might also want to get in touch with a current or former student. They can give you their honest opinion on the program and whether or not if suited their needs. Take your time researching schools as it’s the key to your professional career. Every state has its own requirements for qualifying for the CPA licence. Most are similar, though always be sure to check the exact requirements to ensure that you can meet them. The most important factor is education. Most states require that you have a minimum bachelor’s degree with 150 semester hours. A certain number of those semester hours must be in accounting courses while another number must be in general business courses. Some states require specific courses to be taken, be sure to acquaint yourself with that list. Some programs offer an accelerated program so that you can meet the 150 semester hours and get your masters in five years. Once you have completed your education, you must qualify to sit for the CPA exam. Note that this exam is extremely difficult and is known for its low pass rate. Less than 50% of accounting students are successful. If you have passed the CPA exam, you must then take an ethics exam. Once both exams are completed, you must also have a certain number of hours of work experience in accounting, finance, business, or other related fields, and your hours must be verified by a licensed CPA. Once you have all of this, you may then be eligible for your CPA licence. In the state of Massachusetts, in order to qualify for your CPA licence, you must have a minimum bachelor’s degree with 150 semester hours. This program must have 30 semester hours in accounting courses and 24 semester hours of business courses. If you get a graduate degree, you will require 30 semester hours in accounting and 18 semester hours in business. You must pass the CPA exam as well as the ethics exam. You also must have one full year or 1000 hours of experience working in public accounting under the direct supervision of a licenced CPA in good standing. Before choosing any career, it’s important to figure out your earning potential. The average salary for a CPA ranges from $55,000 to $75,000 and upwards per year. In Massachusetts, the average yearly income of a CPA is around $72,500, however that amount is a ballpark figure. Chances are you, you may not be earning that much when you first start out as a CPA. It all depends on where you are employed. Some companies pay very good wages while others either cannot or will not pay that well in comparison. Of course, if you end up working independently or self-employed, you can command your own rates, but you must be qualified and highly skilled if you want to earn a larger salary. Boston College’s Carroll School of Management is recognized for its accounting program. With emphasis on the accountant’s responsibilities beyond number crunching, this program focuses on business strategies, tax strategies, adopting new technologies and bettering the discipline of accounting. With impressive faculty members, this program aims to guide students towards earning their CPAs and becoming leaders in the accounting field. Of all the programs in Massachusetts, this one in particular stands out for both its teaching of technical aspects of accounting, and the cultivation of students’ analytical abilities. This program is suited for anyone who wants to learn everything they can about accounting and finance. Based on the rankings on the 32nd Annual Professors Survey of 2013, Boston College ranked number 39 in the runner up list of the best undergraduate accounting programs in the country. 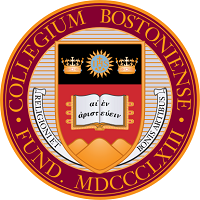 Boston College’s masters program ranked number 41 (down from number 34 in 2012). The only program in Massachusetts to rank in the top 25 doctoral program was Harvard University. Boston College also placed number 17 in the top 25 undergraduate accounting programs with 16-21 full-time accounting faculty. Boston University’s accounting program ranked number 25 for programs with 15 or fewer full-time faculty. Accounting Degree Review’s Rankings and Reviews of the Best Accounting Degree Programs listed Boston College’s Carroll School of Management at number 27. One of the most reputable places to start your career as an accountant is doubtlessly the Isenberg School of Management at the University of Massachusetts – Amherst. This AACSB-accredited institution offers a flexible and comprehensive accounting program that blends coursework with experience and is respected by employers. The University of Massachusetts offers both on-campus, online and hybrid programs to suit all types of students. The efficient accounting degree plan means that you can complete an undergraduate degree in seven semesters and earn an additional Master’s degree all within four years and a summer. This fast, cost-effective program may suit students on the CPA track. The Bachelor of Business Administration with a major in Accounting at Isenberg School offers business, accounting and business law courses and electives in taxation, business information systems, international and cost accounting. Graduate students wishing to fulfill CPA requirements in a time-efficient way can pursue a Master of Science in Accounting degree. The 30 credits can be earned on campus (during the summer term) and online and may take between 8 months and 2 years to complete. 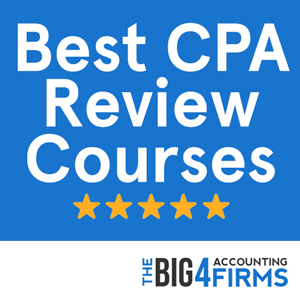 The curriculum covers financial analysis, financial accounting, taxation, stock analysis, information technology and other courses that will prepare you for the CPA exam. Students at Isenberg School can also pursue a Master of Business Administration or a PhD in Accounting. Accounting students may gain extracurricular experience through participation in clubs and societies, national case studies, internships and study abroad programs, as well as networking events organized by the school. You can also try your hand at tutoring and mentoring or participate in programs such as Volunteer Income Tax Assistance or Semester in the Profession internships. Ranked 76th best university nationwide by U.S. News, the University of Massachusetts prides itself on its high standards of teaching and research and is a great place to start your accounting journey in Massachusetts.